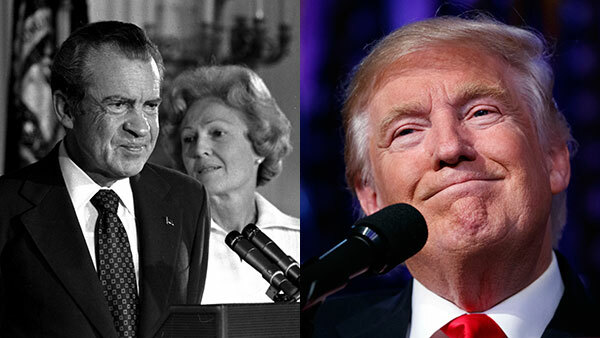 It turns out the Nixons apparently knew Donald Trump would win if he ever decided to run for political office, according to a letter posted by the National Archives Foundation. The letter, courtesy of the Nixon Foundation, was tweeted on Wednesday. Phil Donahue presented Trump to the millions who watched his afternoon TV talk show. One viewer, in Saddle River, New Jersey, was so impressed by what she saw that she made sure to mention Trump's performance to her husband. A week later he signed a typed note, which was dispatched directly to Trump Tower. In the letter dated December 21, 1987, and beginning with "Dear Donald," former President Richard Nixon wrote to Trump about his appearance on the Phil Donahue Show. While Nixon says he did not watch the show, his wife Pat did. "I did not see the program, but Mrs. Nixon told me that you were great on the Donahue Show," the letter reads. "As you can imagine, she is an expert on politics and she predicts that whenever you decide to run for office you will be a winner!" President Nixon finished the letter "With warm regards" and a "Sincerely" before leaving his signature "RMN". 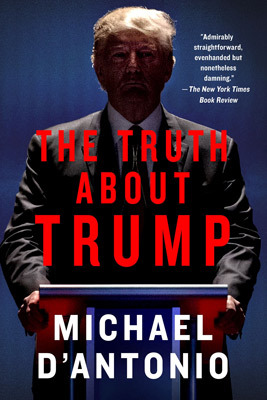 On the same page in D'Antonio's book as the letter, there is a recap of a Barbara Walters interview with Trump, which aired days before the Donahue Show. Walters asked Trump, if he could be appointed president without even running, would he want that? D'Antonio writes, Trump "replied that to be appointed leader of the free world might not be so appealing because he would be deprived of the satisfaction of winning an election. He concluded, 'It's the hunt that I believe I love.'" On Wednesday, Donald Trump became the President-elect on his way to being sworn in as the 45th President of the United States.